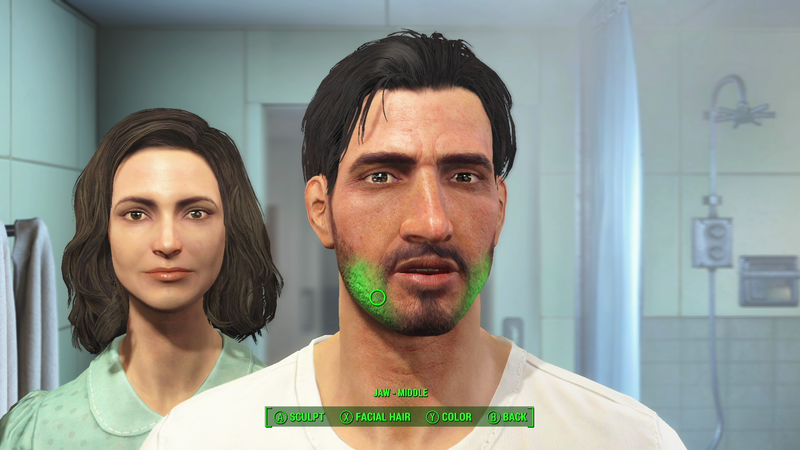 At the start of Fallout 4, we are reminded that war never changes. And for the first time – to my knowledge – we get a glimpse into life before the Great War. The end of WW2, we find out that atomic energy became a source of power for cars and robots and how the world fought over natural resources due to consumerism. 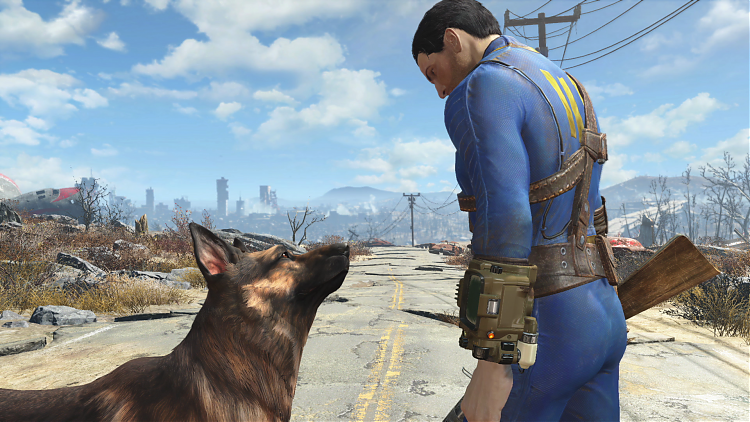 The game begins where the trailers left us, in the house that Dogmeat is scavenging through. Pre-war of course. You’re introduced to the character creation where you get to choose the look of your character; male or female, black or white, thin or fat. You catch my drift. 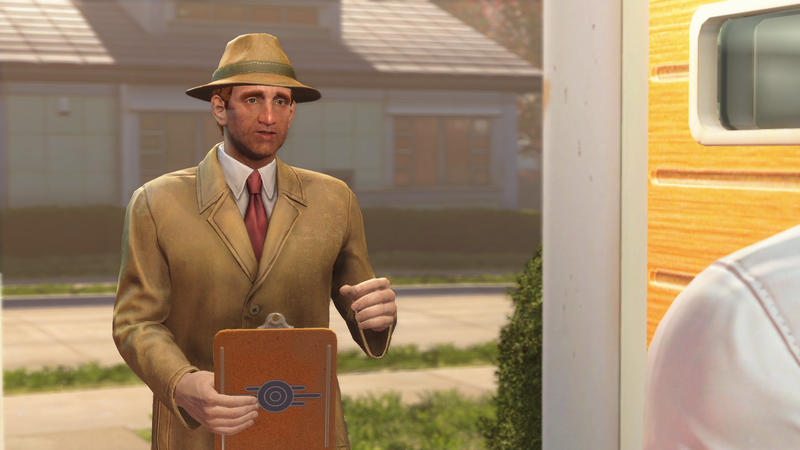 You can build some really good character models if you have the patience.Once completed there’s a knock at the door from a Vault-Tec representative. He offers you the chance to book into a new programme which we can accept in any manner of fashion: sarcastic, genuinely or thankfully. It’s then we hear the sirens. Just as you enter the Vault, you see the first bomb drop. Under no illusions of what has just happened, you get filed through the Vault into what we are told is a check up pod, only to be frozen in a cryotube. You wake up only for one short period of time where you see your son being kidnapped and your partner shot. Your Baby boy has been taken and you are powerless to do anything about it. 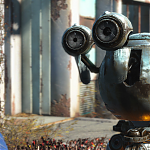 When you do finally manage to break your shackles you escape from the Vault and into the wasteland for the first time. It’s here where the game truly begins. There is no option to do anything other than exploring the world, but missions will pop up frequently enough to fill out your PipBoy. 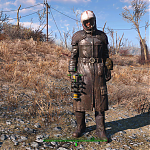 The world is well realised and still retains a very brown feel to it, but exploring a town or abandoned house really pulls you into the desolation of the post-nuclear wasteland.At one point in the early game, as you come across your old neighbourhood, you find a Chem lab that one of your neighbours was hiding. The local neighbourhood drug dealer, actually. The world is massive and it will take some time to open up all of the buildings in the game; which there are hundreds of. Each with some form of interior, usually housing some raiders or super-mutants and usually with a lot of good loot hidden away inside. 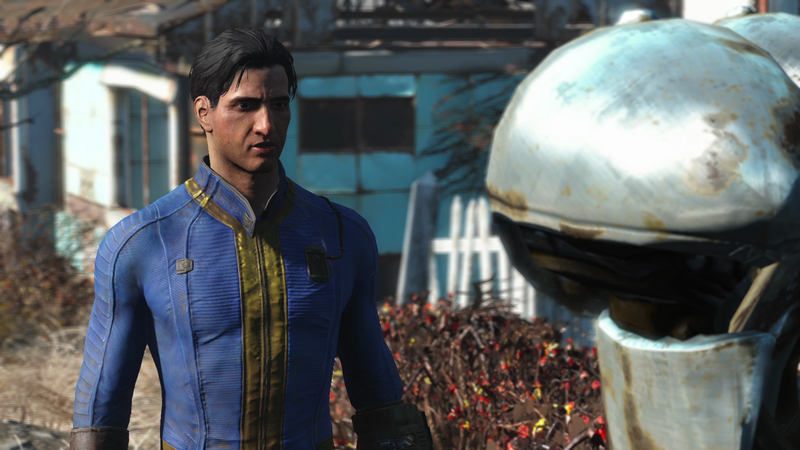 There have been some changes made from Fallout 3, the first of which is your character now has spoken dialogue. This may not seem like much but it vastly improves interactions with NPCS. 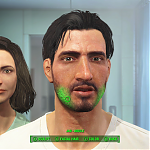 The facial animations are a little bit flat and something Bethesda needs to improve on, and the dialogue tree doesn’t give too much information about what you are about to say either. So while you may be thinking one thing, your character may say something else. This is really only usually a problem early in the game and when you get used to the dialogue tree you generally have a better idea of what your character is likely to say. There are a few find issues in the early game as well. Weapons you find will be outdated and useless very quickly and it can be a while before you find something else that does enough damage to balance out the weaknesses. 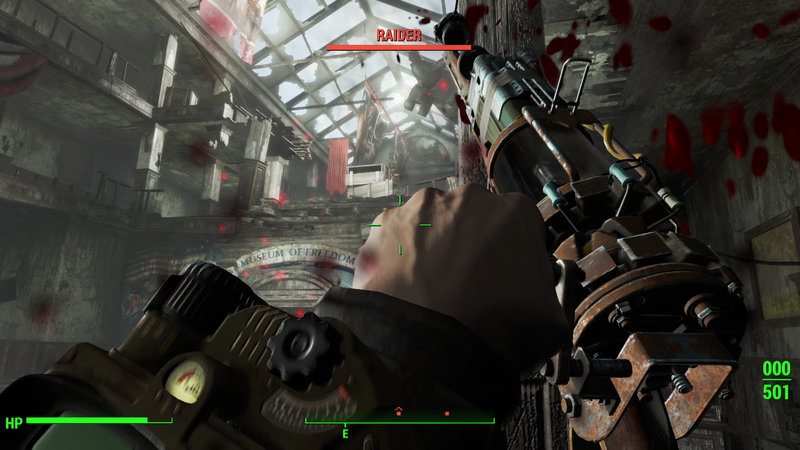 The controls are Bethesda’s own, and until you get used to them can cause all sorts of problems. The Pipboy is assigned to the B button, in other games this button normally has a very different function. The crouch is assigned to clicking the right thumb stick, and again other games have a different function for this. The control scheme, in general, feels wrong and backwards. 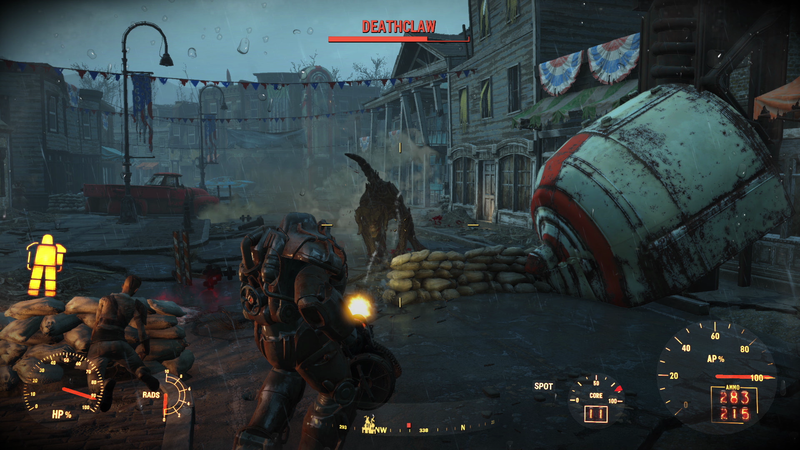 When building in a settlement there are no tutorials at all. It throws you into the workshop and expects you to know what you are doing. I know it’s not just me that had this problem because when I Googled my problem there were numerous forums asking for the same piece of help. It’s crazy! 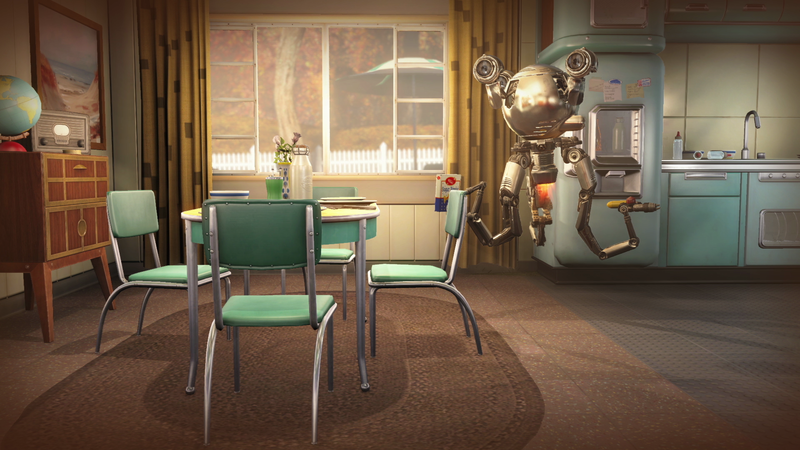 The settlements themselves have to be rescued from a local problem to get them on your side. Help them out and they will then allow you to harvest materials, food and such from their local resources. 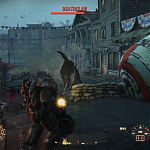 It’s an important part of the game and to just give you some missions on how to build the basic functions of what a settlement needs in order to survive is silly. 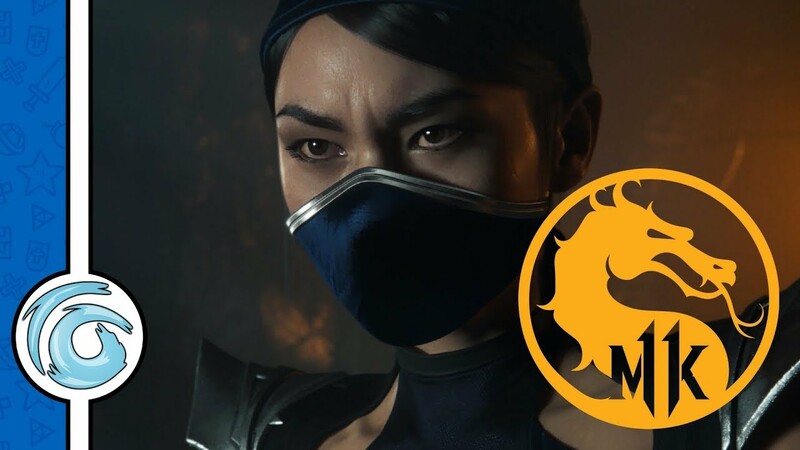 Bethesda used this as a selling point for the game and it’s not explained in depth. There are some issues with the way fences are placed, and it would be nice to see them sit a little flatter and tighter to the ground. Build anything on a slope then your fences can hover 3ft off the ground. Having said all this though, there are some impressive constructions that have been made using the tools available, and they are well worth checking out. The whole system, in my opinion, could use some tightening up though. The storyline is okay, the NPC characters are okay, but there’s nothing really that is well written. There are a few missions with one companion who I thought was pretty good, but for the most, I ended up using Dogmeat. Dogmeat is the best. Well animated and if you look at him, he will stare at you and tilt his head. He will follow you around, and if he finds anything worthwhile he gives a bark for you to follow him. Sometimes this can lead you into a bullet storm though, so just be careful. The companions all have their own unique abilities as well. Some can pick locks, some can hack computers and while everyone will have their own favourites, the companions tend to balance out what skills you may be missing. 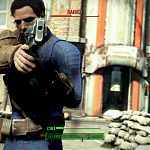 Unlike Fallout 3 you can now max out the skill tree, much like Skyrim. And there are a lot of them as well. Each balanced under the S.P.E.C.I.A.L tree – Strength, Perception, Endurance, Charisma, Intelligence, Agility and Luck. Each branch of this dictates one or more features. Weapons can all be upgraded to godlike proportions now. A nice feature. As long as you have the crafting materials and the right skills; every part of your gun can be changed. From the barrel to the ammo capacity, the sight, the stock and even the calibre of the ammunition. Everything has an effect on your weapon, the damage, the range, the firing ability and the weight. The more you add to a weapon the heavier it becomes but it becomes more unique with every mod. Item management is better this time around, although you can get overburdened very quickly. Items can be transferred over to a companion to cut some weight but you will need to get some points into it very quickly. 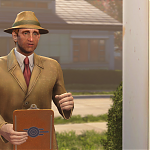 I found that selecting a settlement as a home base and storing all my junk was the best way to go, but you will at least in the early part of the game need to do this often. I also found that in the early game it was difficult to find a vendor to get rid of all my useless stuff and had to stop collecting until I got to Diamond City. 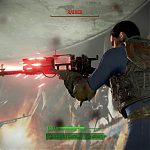 The Vats system now works in a slowed down bullet time function with the percentages changing as your chosen target moves. I only found myself resorting to it in emergencies and not as a go to tool, as I would be more accurate nearly all the time. Some smaller enemies will just rush at you, and trying to hit them when they are at your feet is really hard, again in the early part of the game it is a problem. VATS does balance this out a little but it’s still not something I would resort to every time. 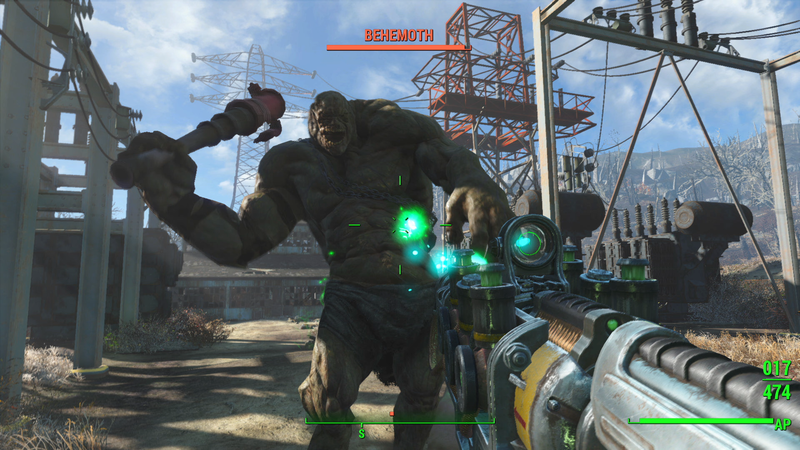 Despite working on Fallout 4 for some time, Bethesda has still not squashed all of its bugs. It has a lot of technical issues. I have experienced textures not loading in, the game has crashed (only the once but it has happened) and game breaking frame rate drop. It’s frustrating that the developer has not fixed issues that were apparent in Fallout 3 and even Skyrim. The games itself looks good – not great, but good. It’s nothing spectacular. It’s a vast improvement over Fallout 3, but this time around Bethesda have not excuse for these recurring issues. 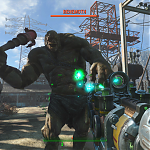 Yes, some players defend Fallout 4 by saying it is a vast and open world, problems are to be expected. My response: Grand Theft Auto V doesn’t have this many issues. 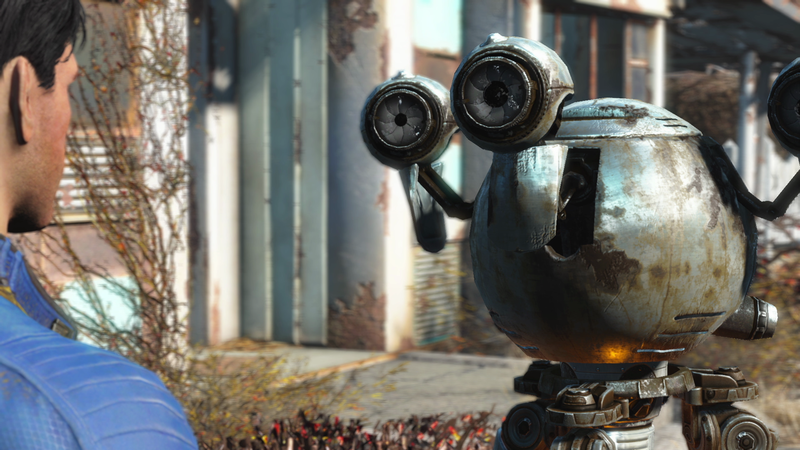 For what it’s worth, Fallout 4 is a good game. 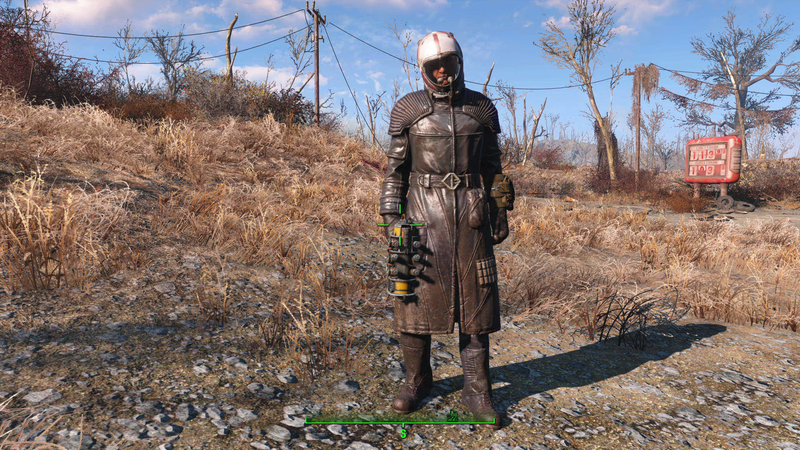 It allows you to explore at your own pace and makes you feel like a wasteland survivor. 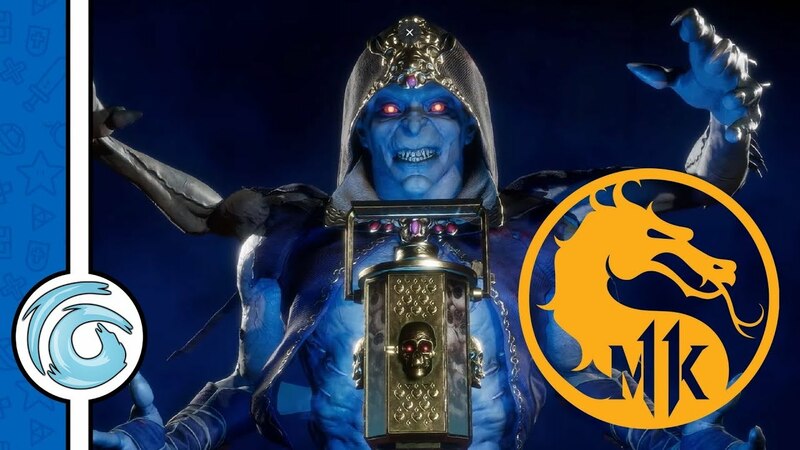 Bethesda for me, are the masters of the B game AAA title. It’s slightly broken, but at the same time, you don’t care because there is a lot of fun to be had in the world. 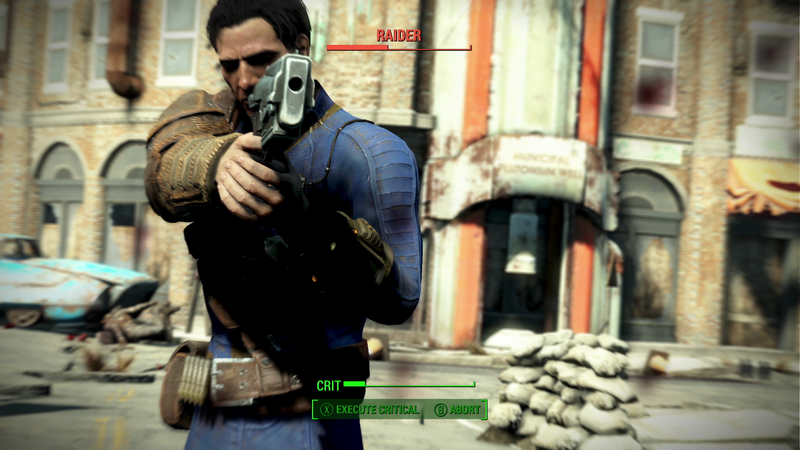 The real shame is apart from a few new features it doesn’t add too much to the Fallout series. 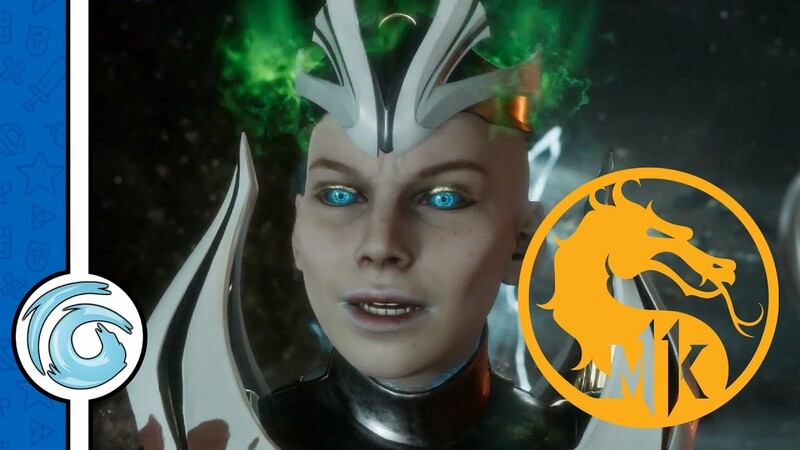 The main quests are all a little bit generic and forgettable, and while there is a lot of repeating side missions there’s not a lot of variety in the game. 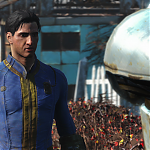 The world itself is the main star though, with a lot of secrets and Easter eggs in and around the Boston area, where you will spend a lot of time just wandering around the wasteland discovering new things. It will always be the new upgrade for your rifle or finishing the building on your settlement that will keep you coming back. There’s a lot to do in Boston, but the best parts of the game are always going to be your stories and not the one the game gives you. Exploring the city to see how the human population has evolved and changed the way it lives to fit in with the environment is a wonderful thing to experience. 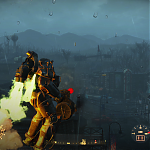 It has some technical issues which stop it from being great, but there so much to see and do in the wasteland that you won’t mind too much. 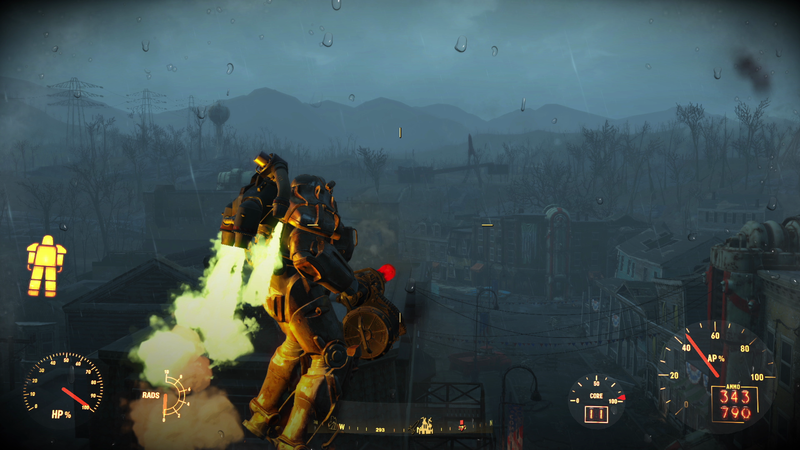 It’s also a shame it doesn’t push the Fallout series further but there’s still a lot of enjoyment to be had here. 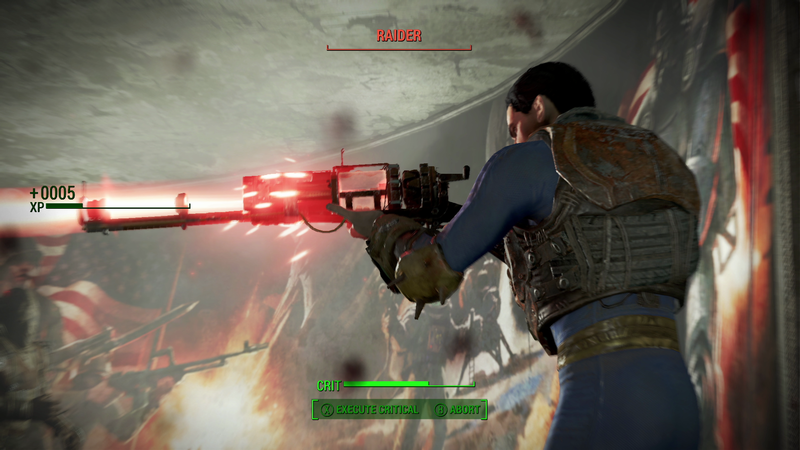 This review is based on playing the Xbox One version of Fallout 4 .